Perhaps you’ve seen text or image buttons on various websites inviting you to “subscribe via RSS.” Well, what does that mean exactly? 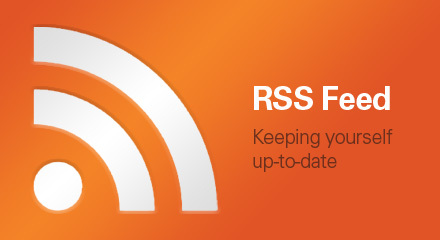 What is RSS, what are RSS feeds, and how do you get them to work for you? RSS feeds benefit those who actually own or publish a website as well, since site owners can get their updated content to subscribers much more quickly by submitting feeds to various XML and RSS directories. RSS feeds are simple text files that, once submitted to feed directories, will allow subscribers to see content within a very short time after it’s updated. Say you have roughly 50 sites that you like to visit on a daily basis. You head on over to your favorite site, hoping that it’s got something new for you since the last time you visited, but no – you’ll just have to come back later, again and again, until the moment that particular site decides to put something new up. Talk about frustrating and time-consuming! Well, there’s a better solution: RSS feeds.There are a few different ways by which you can subscribe to a site’s RSS feed, and here they are.